In our previous post we learned the origin of PVC fencing and the advantages vinyl fencing offers homeowners. In this post we’ll discuss the continued advances being made to vinyl fences. The newest advance feeds the newest trend in vinyl fences, which is texture, mainly wood grain. When PVC fencing first came to market the fence was smooth, whether the vinyl fence style was a picket fence, privacy fence, split rail or other type of fence. But, in recent years, answering to what some homeowners sought in a fence, the industry began offering the option of simulated wood grain. In the process of extruding the vinyl for the fence manufacturers are able to imprint simulated wood grain on the fence boards. Initial vinyl fencing had a hollow center which made PVC fencing light yet sturdy. But in order to compete more strongly with wood fencing, manufacturers began offering steel reinforcement in the hollow area of vinyl fencing, particularly in the posts. 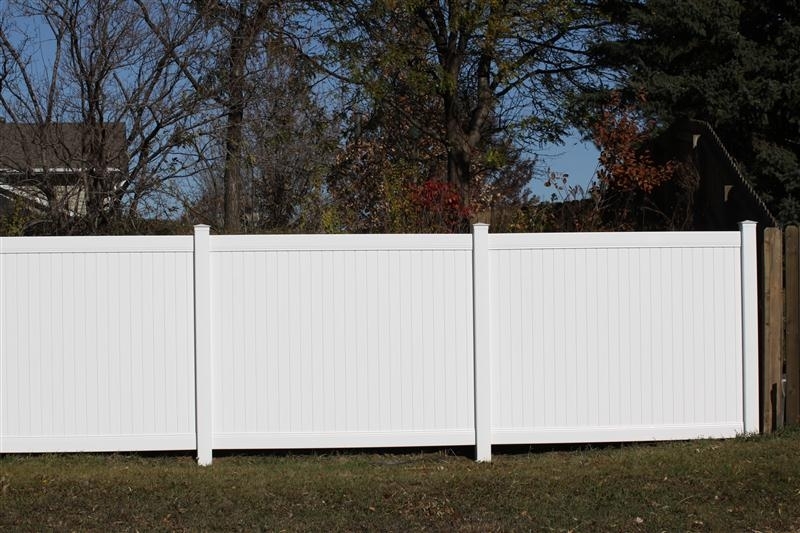 This stronger PVC fencing, lower maintenance, multiple colors combine with simulated wood grain to make PVC fencing even more competitive with traditional wood fencing. In our next post we will look at Trex fiberglass fencing as the newest material available in fencing.